An aneursym is an abnormal balloon like swelling of a brain artery. The common association is hypertension or high blood pressure causing rupture of these aneurysm. When an aneurysm ruptures, it causes what is known as- subarachnoid hemorrhage. Subarachnoid hemorrhage is a medical emergency. The patient loses consciousness, may have severe headache preceding coma. To diagnose subarachnoid hemorrhage, a CT scan is sufficient. Once established, a brain angiogram will further aid in the diagnosis of aneurysm. 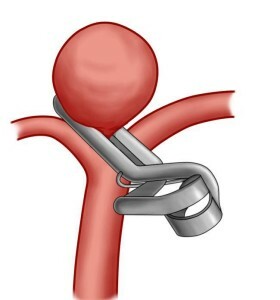 The primary aim of treatment is to obliterate the aneurysm so that further bleeding is prevented. There are two types of treatment for aneurysms. 1. Surgery: Done by clipping the aneuryms surgically. 2. Endovascular coiling: done by using angiography route. Through an artery in the groin. 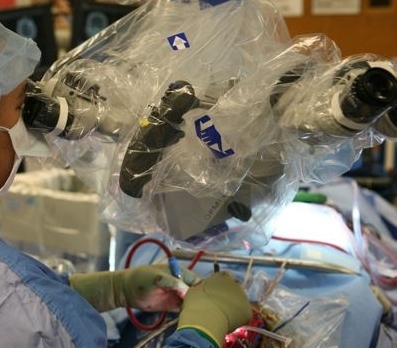 This is a type of angioplasty procedure, a minimal invasive surgery. Lets now consider surgery; Clipping of aneurysm. Post op care of these patients is paramount. They carry a high risk of fatal complications. 1. Vasospasm: Occurs after a week. Sometimes fatal. Managed by aggressive management of fluids and other medications. A craniotomy is first performed. This is a procedure where an opening is made in the skull. The covering of the brain is opened. Aneurysm is reached by dissecting into the deeper part of the brain. Once exposed, the neck of the aneurysm is prepared for clipping. A clip is a titanium device which can press the artery to close it. This clip is then put on the neck of the aneurysm to obliterate it completely. After clipping, a brain angiogram is done on the table to ensure completeness of clipping. Once confirmed, the skull is closed and patient is returened to the ICU.